This work was composed for wind ensemble in 2000. 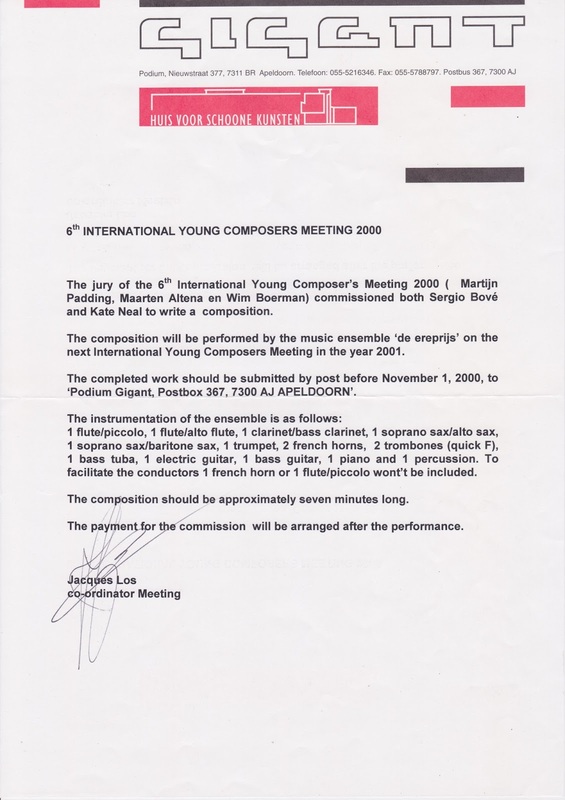 It has been commissioned by the Gaudeamus Foundation of Contemporary Music and Cultural Centre Gigant from Apeldoorn, The Netherlands. 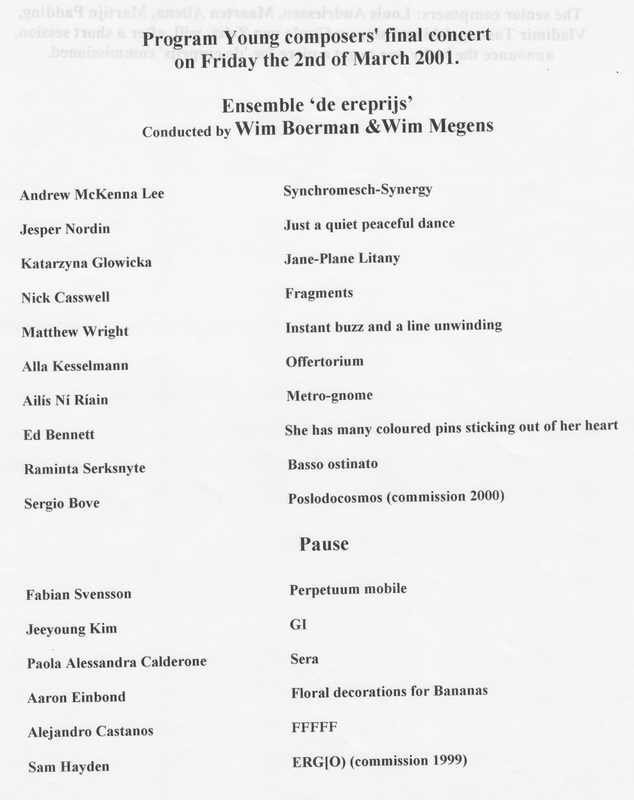 It was premiered by the ensemble "de ereprijs" at the 7th International Young Composers Meeting 2001.